CBRS usually use textual features to represent items and user profiles, hence they inherit the classical problems of natural language ambiguity. The ever increasing interest in semantic technologies and the availability of several open knowledge sources have fueled recent progress in the field of CBRS. Novel research works have introduced semantic techniques that shift a keyword-based representation of items and user profiles to a concept-based one. bottom-up semantic approaches, based on the distributional hypothesis, which states that "words that occur in the same contexts tend to have similar meanings"
Pasquale Lops is Assistant Professor at the Department of Computer Science, University of Bari Aldo Moro, Italy. 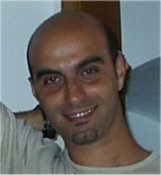 He received the Ph.D. in Computer Science from the University of Bari in 2005 with a dissertation on “Hybrid Recommendation Techniques based on User Profiles”. His research interests include recommender systems, machine learning, user modelling and information filtering. He has served as a senior program committee member of RecSys 2014 and as regular member since 2010.